If your dog was recently bred, you're likely hoping for puppies, but detecting early pregnancy is challenging. 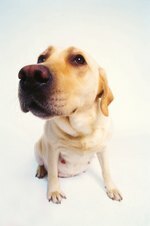 The average canine gestation period is about 63 days after conception, but in the initial weeks there are few outward signs to prove pregnancy. Until early home pregnancy tests for dogs are invented, you'll have to rely on traditional methods to detect pregnancy. Palpating the uterus is one method to confirm puppies are on the way. Palpating a dog's uterus is not as easy as thought. 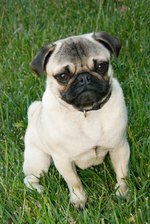 Puppies can be detected by abdominal palpation about 28 to 35 days after breeding. Around this time frame, the puppies are about the size of walnuts and can be detected by touch. Palpating after this time frame is not recommended as the embryos rapidly enlarge and are no longer identifiable as distinct, individual swellings; however, the puppies can be directly palpated after day 50. With the dog standing, use one hand to palpate the abdomen by gently slipping the uterus between the tips of the thumb and forefinger and feeling for spherical swellings. The developing embryos are evenly distributed along mother's dog uterus within the gestational sacs. Have your vet palpate the first time and show you how to master this technique. Rough handling may harm the delicate embryos and even cause a miscarriage.